Thanksgiving has never been one of my favorite holidays. I am thankful for all the wonderful blessings in my life, but I really don’t like a lot of the Thanksgiving foods and I don’t like big meals. I’ve never cooked or done much to contribute to the meal in the past, but since I have started cooking a little bit, I decided to bring a side dish. I don’t think I will ever be as brave as my sister who has the same cooking ability as me, but managed to cook an entire turkey by herself. Not only did she cook it herself, it was one of the better turkeys I’ve ever eaten! I was really impressed!! 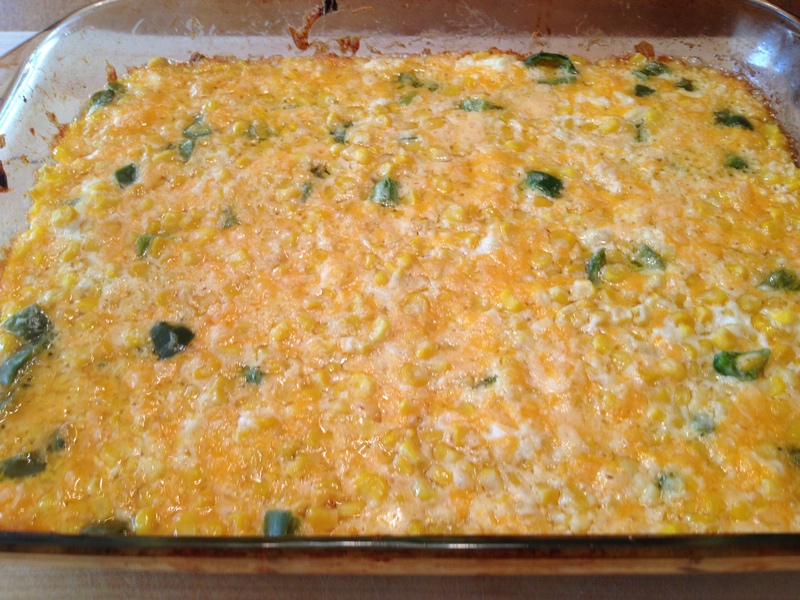 Everyone also seemed to be really impressed with my jalapeño cream corn dish. We were so hungry before everything was ready that people started eating it as a dip with crackers. It made for a wonderful appetizer AND side dish!! I found this recipe on my favorite website, pinterest. 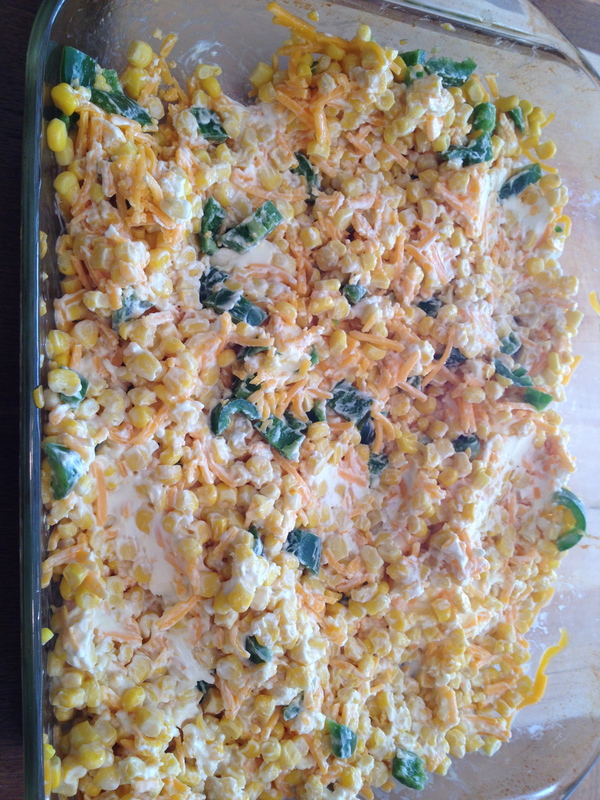 Thank you to Blogher for posting the recipe AND for getting pinned! 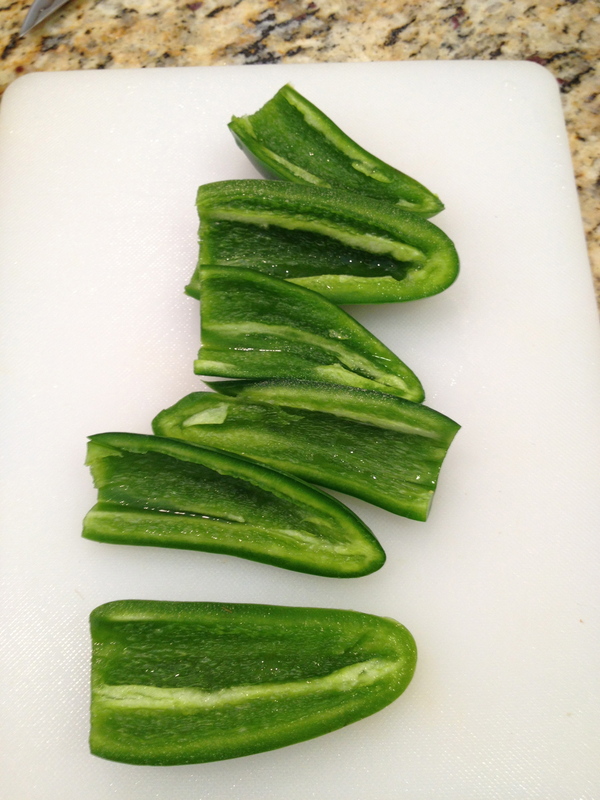 Cut and core the jalapeños, get rid of all the seeds, unless you want a kick to it. 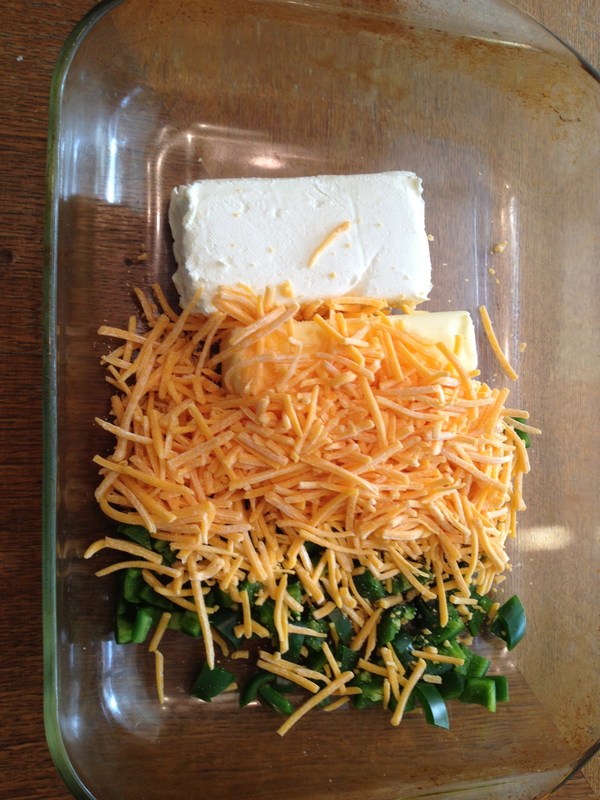 Put all of the ingredients together in a casserole dish. Mix it all together and put in the oven at 350 for about 45 minutes. If you get rid of the seeds from the peppers, even the kids can eat this. It’s not spicy at all!! This is a great side dish to bring to a pot luck, also!! It was amazing!! You should try it! I also liked your s’mores. I’m going to blog about that later. It really is. I think it will be my signature dish.